We were very happy to see the Sumatran Tigers at Taronga Zoo's Tiger Trek yesterday - second time lucky in fact! These critically endangered Sumatran Tigers have lived at Taronga Zoo since 2015 and with up to 400 remaining in the wild, there’s never been a better time to visit Taronga to learn about endangered wildlife. This exhibit is included in your Taronga ticket and free to members too! The Tiger Trek experience takes visitors on a journey to Sumatra. Visitors walk into an aeroplane and are transported to a recreated village in the Way Kambas National Park. Kids can hop on the village bikes and see the village shops before heading to see the Sumatran Tigers. The four Sumatran Tigers are Clarence (six-year-old adult male), Jumilah (14-year-old adult female born at Taronga) and her cubs, Kembali (male) and Kartika (female) born at Taronga Zoo in 2011. You might spot one of the tigers at the top of the hill when peering through the windows of this beautiful hut (right of the photo below). Let the little ones go across the river through the discovery trial (left of the photo below). If you're lucky you will spot sleeping tigers on top of the wildlife truck and see them face to face! 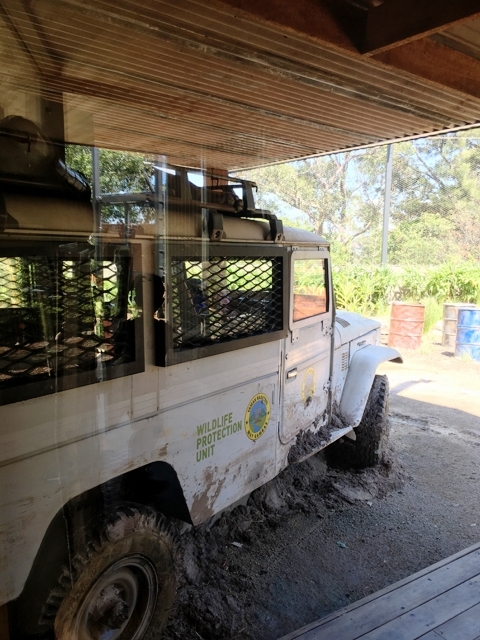 The kids loved driving the wildlife truck and peering out the window at the Sumatran Tigers. We were so happy to come face to face with these beautiful animals this time around as we missed out the last time we visited! There were around three of these beautiful Sumatran tigers on the day near the wildlife truck and one at the top near the hut. The kids loved the experience! Visit the Tiger supermarket and checkout the products and brands who are opting for sustainable palm oil and write to those who are not playing the part and see how you can help to protect Sumatran Tigers in the wild. Palm forest deforestation endangers wild animals like Sumatran Tigers and Orangutans. Stopping manufacturers from making products with palm oil or influencing them to opt for sustainable palm oil means less deforestation and endangering these precious animals. To WIN one of 3 family passes valued at $115.20 each for 2 adults & 2 children, head to our Instagram account. Follow us, like our upcoming Tiger Trek post and tag friends for more chances to win. (We will check). Entries are now open and close Friday 15th of December at 5pm AEST. Open to NSW Residents only. Not associated with Facebook or Instagram. 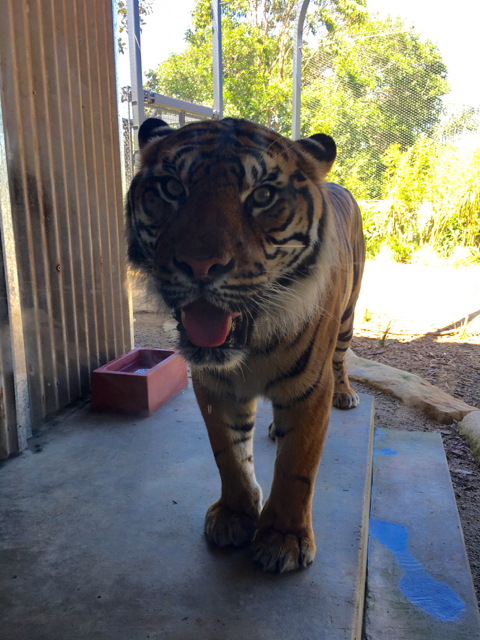 The Tiger Trek is open daily at Taronga Zoo. For more information on Tiger Trek and the Taronga Zoo or to book, head to their website. Head as the Zoo opens to avoid the 11am midday crowd. People generally go during those times to attend the Seal and the Bird show. We tend to go as it opens, which means there is parking available near the entrance and we get to see some animals get fed. Head to the Tiger Trek experience first as it is a popular exhibit. Parking for Zoo members is discounted or $19 per day for non Zoo members. Pack some snacks and lunch. There is food available at the Zoo canteen however we find selection is minimal and some food can be costly. Plan your day around the shows if you are interested in seeing the shows. We love the Seal show we go every time and head to the Bird show a few times a year. You can get to the Zoo via ferry and make it a day trip with beautiful views of the harbour the kids love it and grab the Sky Safari on the way up and down. We love grabbing the Sky Safari. 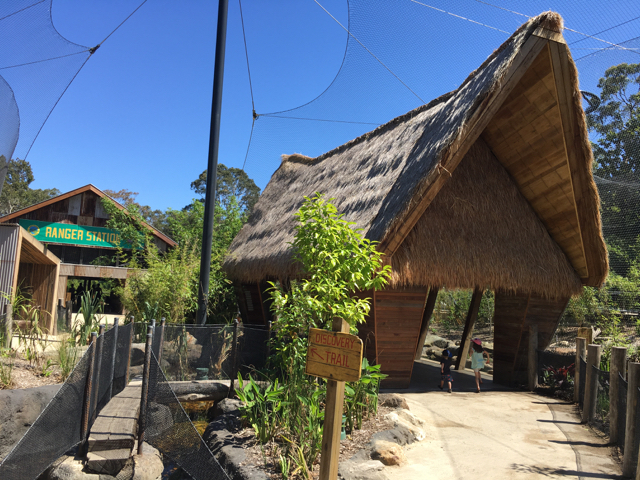 We drive into the Zoo and park at the main entrance, walk around the Zoo and enjoy the animals and head down the lift (near the elephants) and all the way down to the Sky Safari and grab it back up to the carpark. It's included in your ticket and you can take your pram on too. The Zoo is pram friendly however park your pram in pram parking spots when attending shows and make sure you use the elevators in area where stairs are the only option. There are toilets and parents room throughout the Zoo. We featured one of them in our parents room page last year. 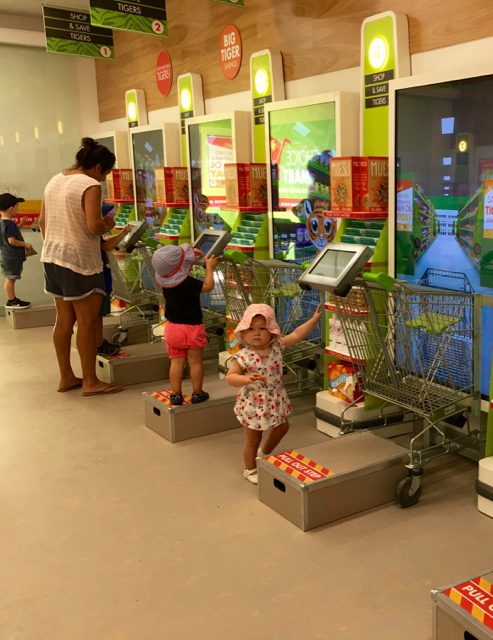 For more ideas on what to do with the kids in Sydney, head to our blog, ourdaily spots list or pools & beaches or playgrounds list. And for a full list of parents rooms around Sydney, head to our parents room page.